The wife of a man beaten by a group of motorcyclists wept on the witness stand Tuesday as she recalled her family’s car being set upon by angry bikers during a motorcycle rally that took over New York City streets. Saying she “thought we were going to die,” Rosalyn Ng described how a pleasant drive descended into chaos and how bikers pulled her husband from the family SUV to beat him. 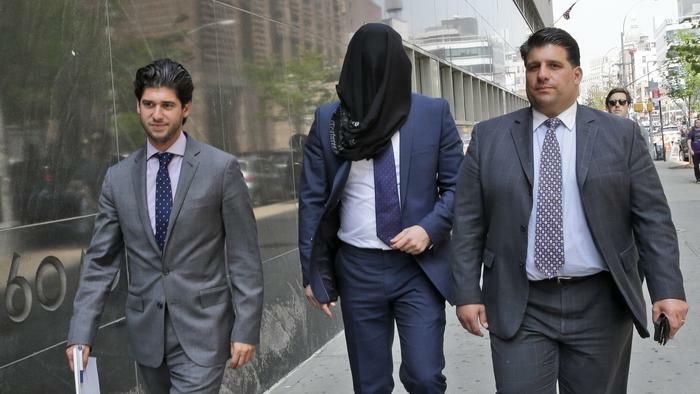 Ng was testifying in the trial of Wojciech Braszczok, 34, an undercover detective with the New York Police Department, and Robert Sims, 36, two of 11 men arrested after the Sept. 29, 2013, incident in Manhattan. The men, who are being tried together, are charged with assault and other crimes. The assault was captured on video by a camera on one of the riders’ helmets and showed the SUV being driven by Alexian Lien, Ng’s husband, surrounded by motorcyclists. Lien eventually was dragged from the vehicle and beaten as his wife and young daughter were in the car. He testified earlier.